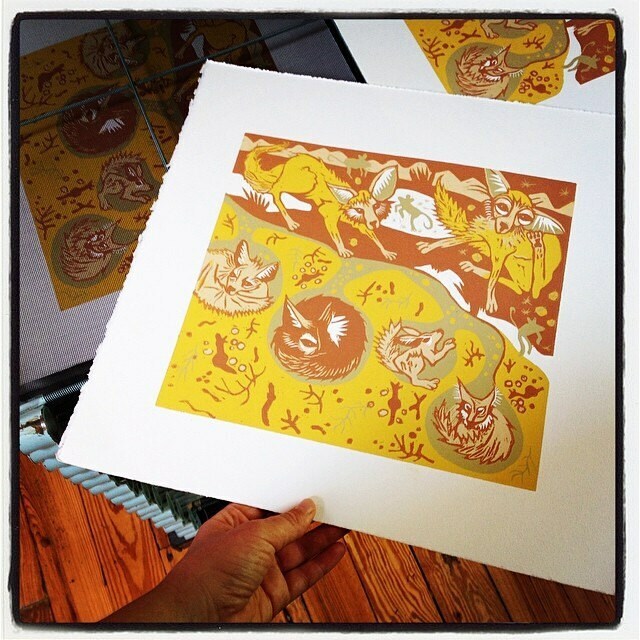 Original hand carved woodcut titled, "Fox Lair." 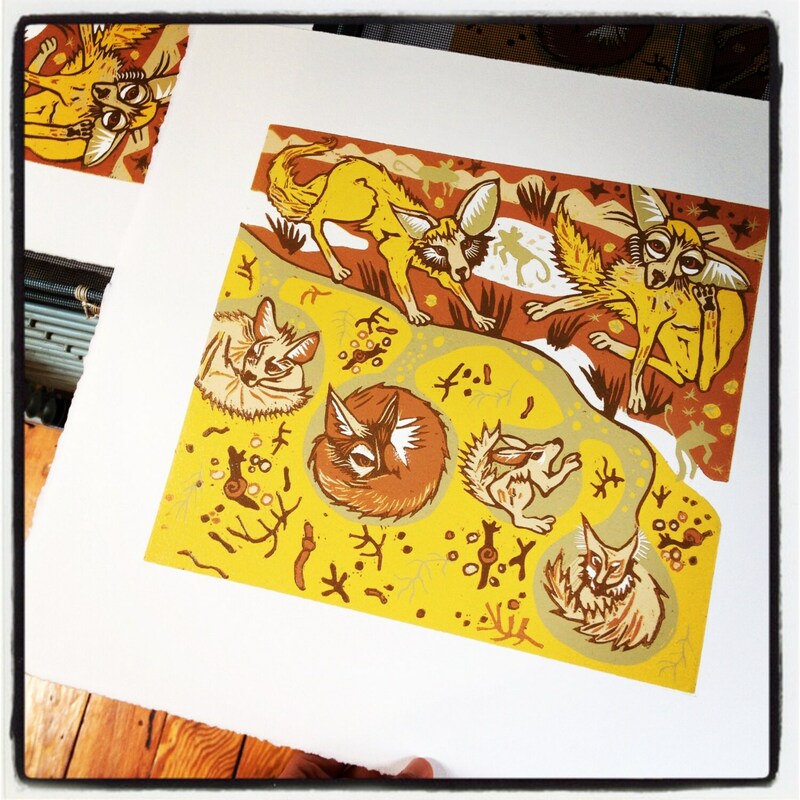 Just one left of this edition unframed! I wanted to pay homage to my new role as a mama by making some pieces of animals and their nests. Fox Lair show a few little Fennec foxes in their burrows. These little African cuties have huge ears that help them to stay cool in their North African habitat. They raise young and live in burrows underground to try and regulate their temperature in the hot desert sun.